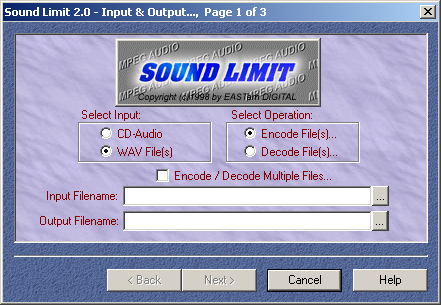 Sound Limit is a shareware MP1/2/3 encoder and decoder created in Romania by Eastern Digital. 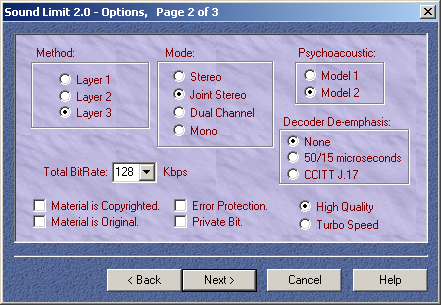 Considering its age, speed and user comments about bad quality, it seems to be little more than a dist10 compile with a quite ugly interface. Which is all the more amazing considering registration cost 30 dollars. 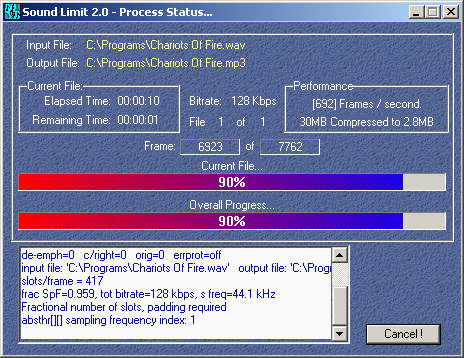 Also, it has some unknown, fishy relationship with Ultimate Encoder. 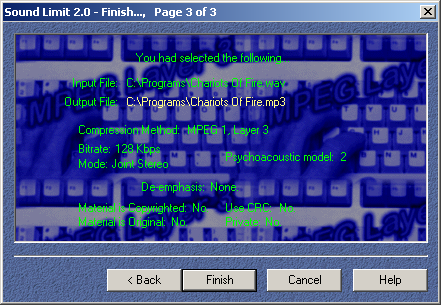 The demo versions hosted here are only valid for 30 days after installation. A mirror of the web page is available here.